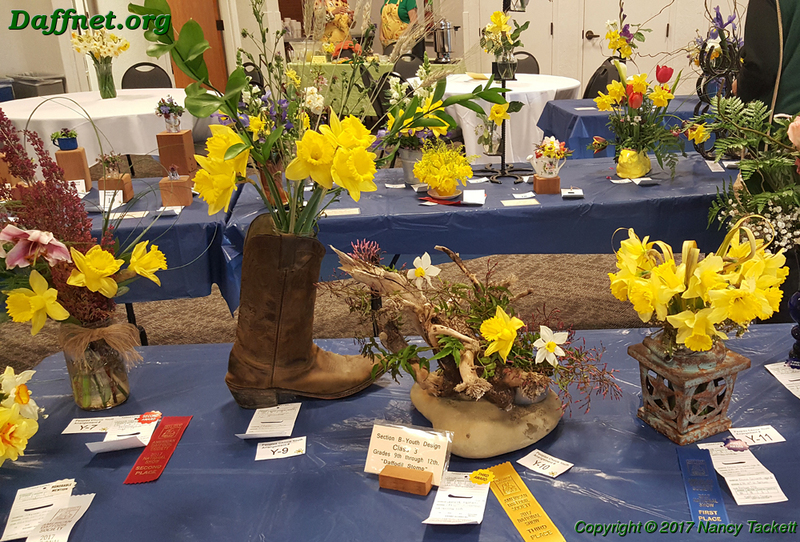 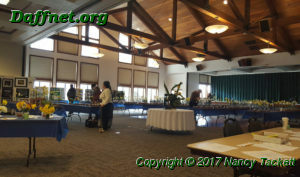 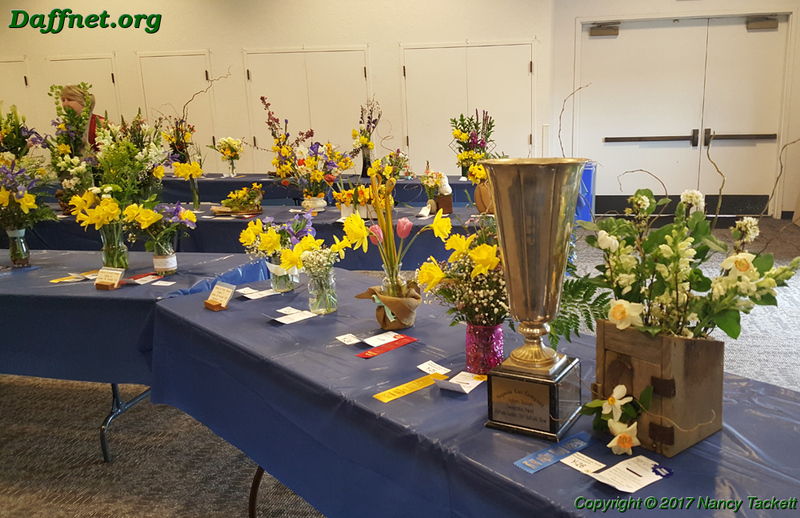 Last weekend we had another wonderful time visiting our Fortuna Garden Club friends again and seeing how they continue to evolve their show. 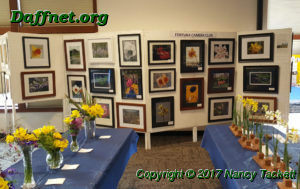 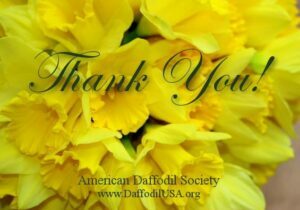 Below are some photos of the “Dancing with Daffodils” show. 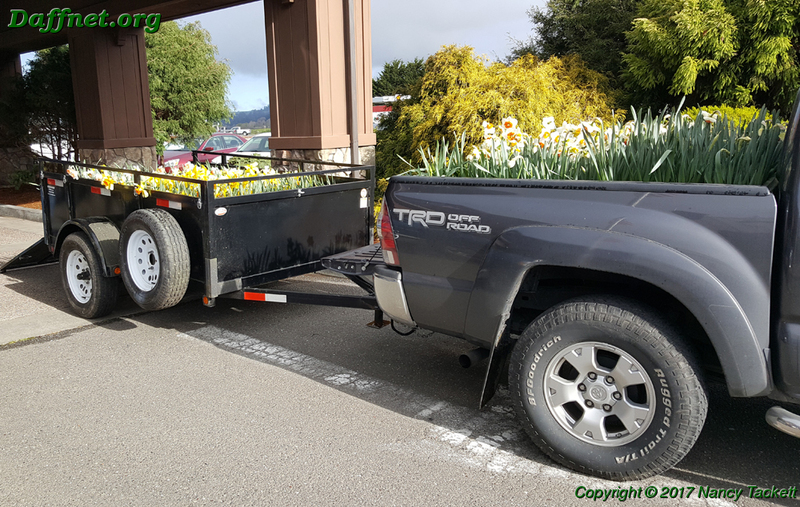 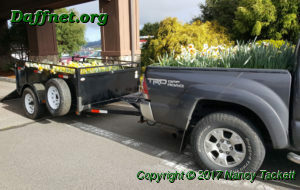 Potted daffodils for sale at Fortuna. 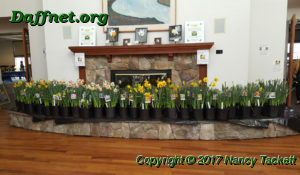 They sell these pots to raise money to pay for their lovely venue at the River Lodge. 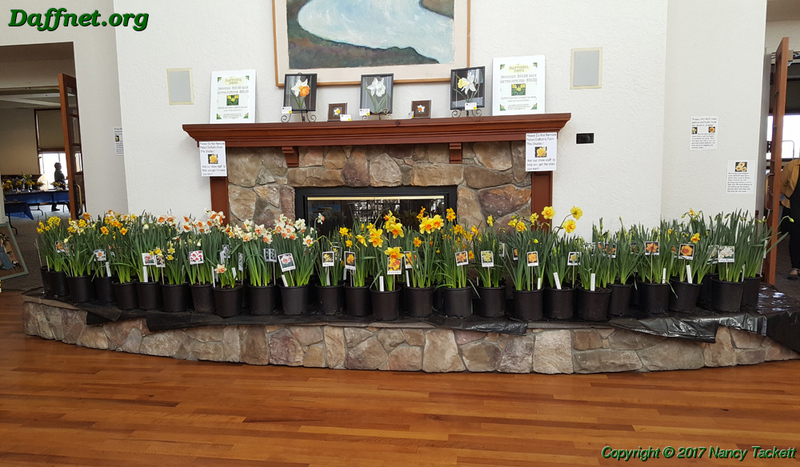 Potted daffodils around the fireplace and artwork. 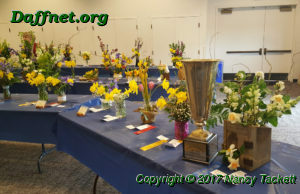 Ben is taking one last look at the show. 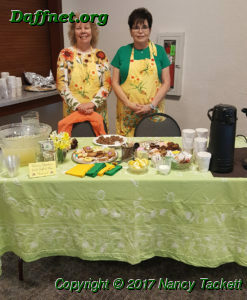 Hospitality at its finest. 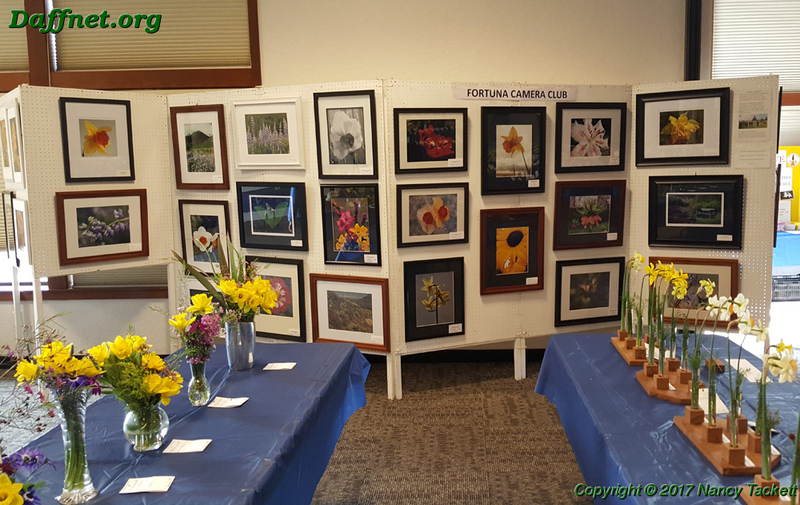 Thank you Fortuna Garden Club.